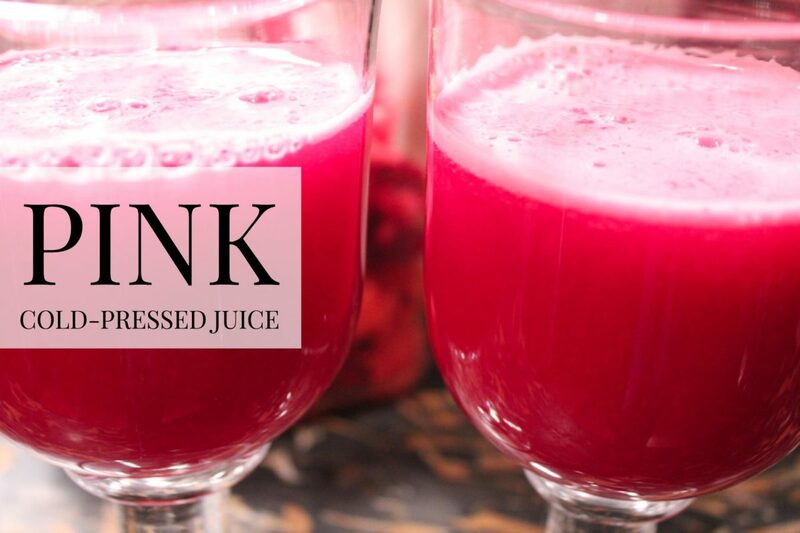 This amazingly pink, amazingly refreshing Pink Cold-Pressed Juice combines one of my favorites, pink grapefruit, with beets, carrots, apples, and ginger to create a totally fun winter juice blend! I developed this recipe using the HUROM Slow Juicer. Juicer settings vary from brand to brand. Set yours up according to manufacturer’s directions and your personal preferences. Using the HUROM Juicer, have the Juice Cap closed and the Pulp Control Lever in the open position. Add one piece of cut up fruit and then turn the motor on and begin adding the ingredients alternating between the different fruits and vegetables till all of the ingredients are juiced. Open the Juice Cap and let the juice pour into the pitcher. Pour into glasses and enjoy!